Shelly-Ann Fraser-Pryce, the Jamaican Olympic and World 100m champion, raced into Grace Foods, the UK’s leading supplier of Caribbean food and drink, to host a Q&A session with local schoolchildren. Shelly-Ann met children from three local primary schools as they quizzed her on everything from her favourite food, what it takes to be an Olympic champion, how often she trains and who is her favourite super hero?! 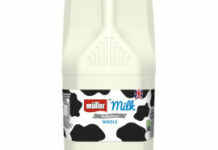 Shelly-Ann is an ambassador for Welwyn Garden City based Grace Foods. She visited their headquarters as part of the company’s preparations for Caribbean Food Week (August 24 – 31), the UK’s biggest celebration of Caribbean food and drink, and sampled a selection of authentic Jamaican recipes that Grace will promote during the week. 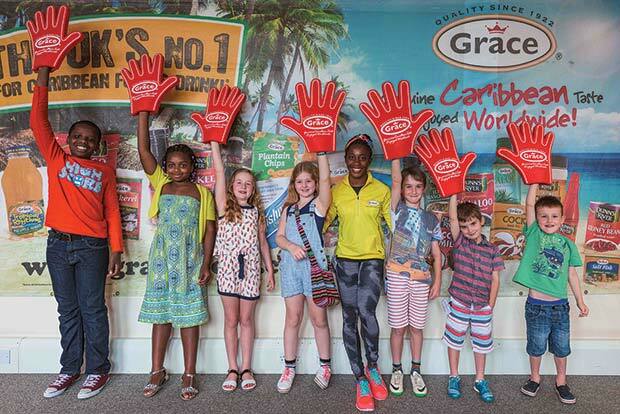 Grace Foods UK Brand Manager Giuseppe Vullo said they were ‘thrilled’ to host a visit from the reigning World and Olympic 100m champion, adding that the children in particular enjoyed an experience they will remember for the rest of their lives.